I’ve planted 6 Big Zac tomato plants and several of my own from last year that came from the the N. Harp 7+ lber tomato seed. I haven’t seen as many megablossoms this year as I would like to see. A megablossom is a blossom that has 2 or more blossoms that fuse together to create a tomato that has several sections creating two or more fruit joined together which give a rather gnarley appearance but produce some really big fruit usually over 2 lbs. Big Zac is NOT the only tomato that produces megablossoms but it does produce more than the average tomato. 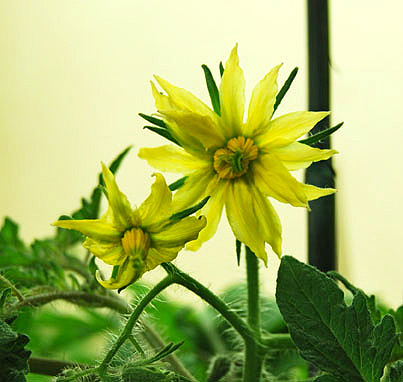 Other tomatoes can produce megablossoms as well just not as many as the Big Zac variety. 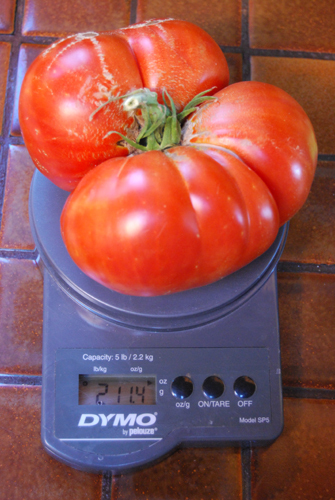 Here is one of the Big Zac tomatoes I grew last year that was close to 3 lbs. Notice the 4 sections. I’ve been a little preoccupied with the tomato scare but now am on the hunt to see if any of my Zacs have some of these blossoms. This entry was posted in GARDENING TIPS, general, GIANT TOMATOES, TOMATOES, tomatoes growing tips and tagged Big Zac tomato, growing giant tomatoes, megablossoms, tomato megablossoms.